Training of any kind should engage the participant and entice them to learn. By creating courses that demand active participation, the student becomes involved in the learning process increasing the information understood and their retention. Further by providing a variety of core training programs and then supplementing these with custom training, you are able to choose exactly what is right for your workers. This course is designed to provide operatives with the knowledge and tools to work safely at height. Room required with lighting and power connections for projector, and seating for up to 10 delegates. 4 hours minimum not including breaks. Delegates are required to complete the provided workbook and examination upon completion of the course. On attaining the relevant pass level delegates will receive a certificate of training and support manual. to work safely at height, select and use appropriate equipment and perform periodic inspections of PPE. for up to 10 delegates. with the knowledge and tools to plan an implement safe working at height procedures. 6 hours minimum not including breaks. 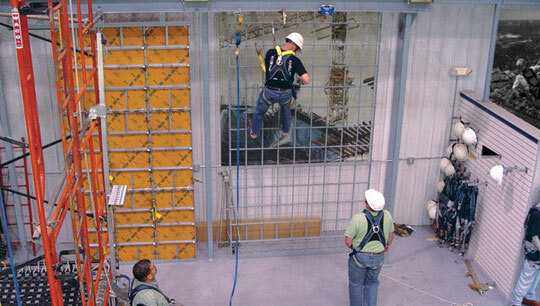 safely access rescue requirements and perform a suspended rescue/recovery. up to 10 delegates. Area for suspended practical session. will also provide a selection of relevant PPE and equipment. Delegates are required to complete the provided workbook and examination upon completion of the course. Delegates must be reasonably physically fit. On attaining the relevant pass level delegates will receive a certificate of training and support manual. not cove B/A equipment or movement once inside a confined space. up to 10 delegates. Practical area suitable for confined space equipment training. Delegates are required to complete the provided workbook and examination upon completion of the course. Delegates must be reasonably physically fit. On attaining the relevant pass level and practical assessment delegates will receive a certificate of training and support manual. to safely access and egress both pitched and flat roofs. up to 10 delegates. Practical area. safely climb towers using various techniques. The effectiveness of this course depends on the availability of practical facilities. up to 10 delegates. Access to a tower is required.